A chunky chocolate dessert straight from the freezer to your plate! 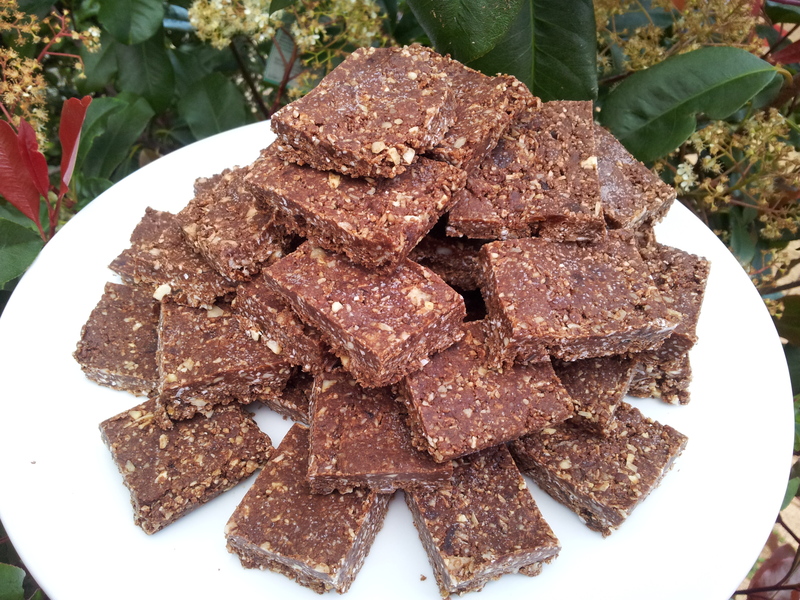 A delicious raw chocolate slice free from gluten, dairy and processed sugar, while also being incredibly nutritious. Whip up a batch and keep it in the freezer for those times when a treat is needed or visitors come unexpectedly. 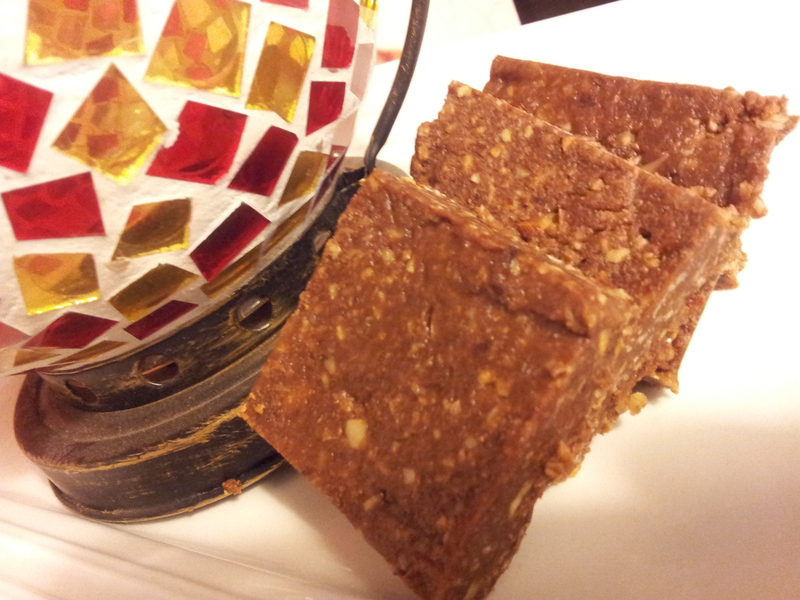 A sweet, decadent, chocolate dessert or snack filled with natural ingredients to support your wellbeing. This will be gone in a flash. 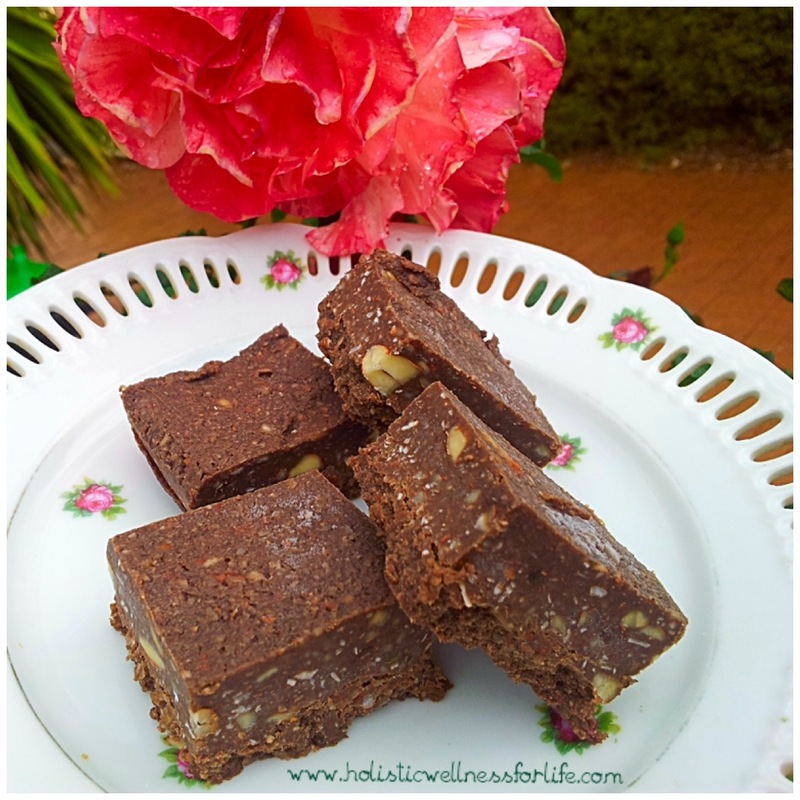 This is a simple raw slice that can be made using the food processor in just minutes and a taste test of the blended ingredients is just delicious. It is sure to become a family favourite or just keep it in the freezer for yourself! 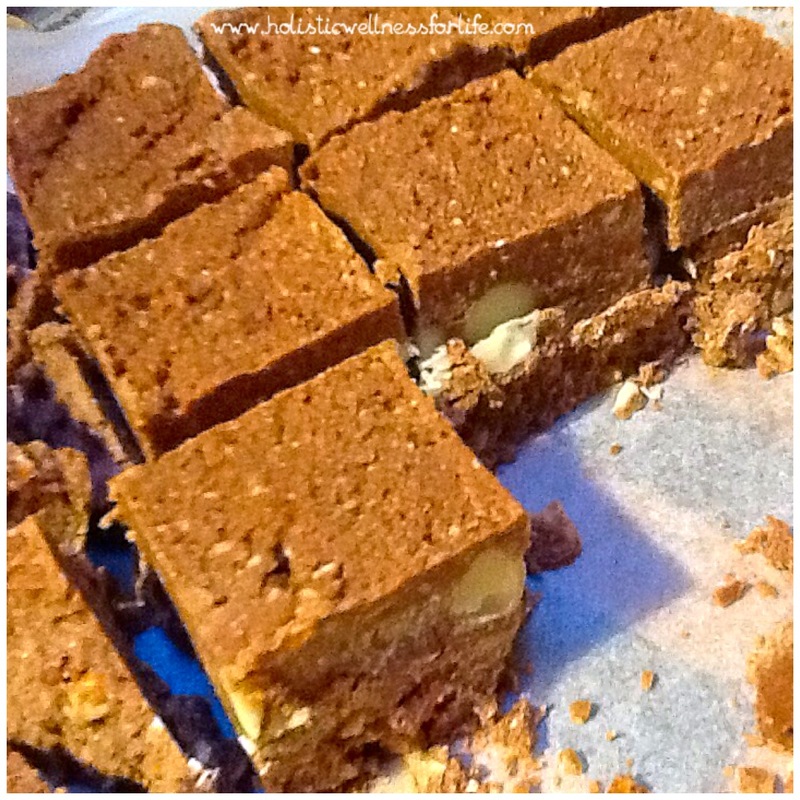 Ingredients: I like to double this recipe as it makes a bulkier slice. 1 cup of organic almond meal (Make your own using activated almonds if you are able or buy a good quality one-blanched or regular. I like to use blanched as it gives the slice a softer texture. 1/4 cup rice malt syrup (raw organic honey is also nice. Just use a bit less as it is sweeter). Place all of the ingredients in the food processor. 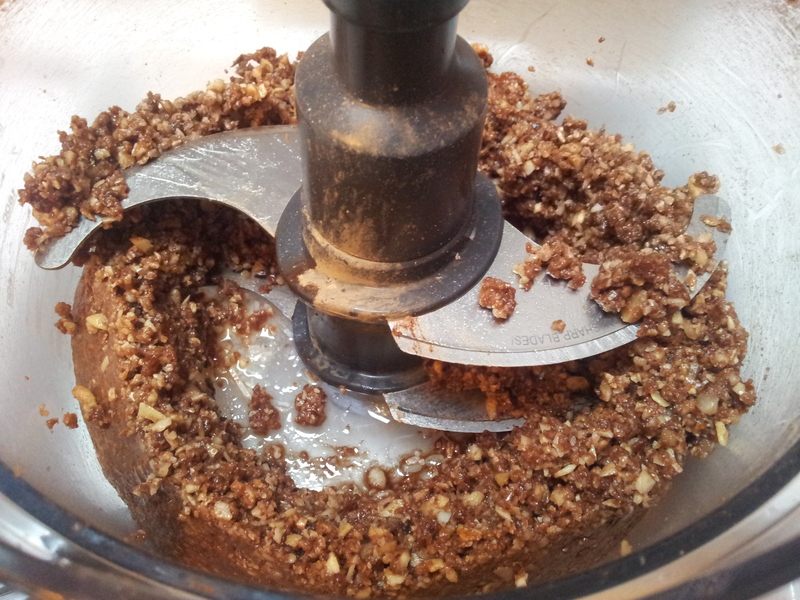 Give all the ingredients a quick whiz in the food processor. 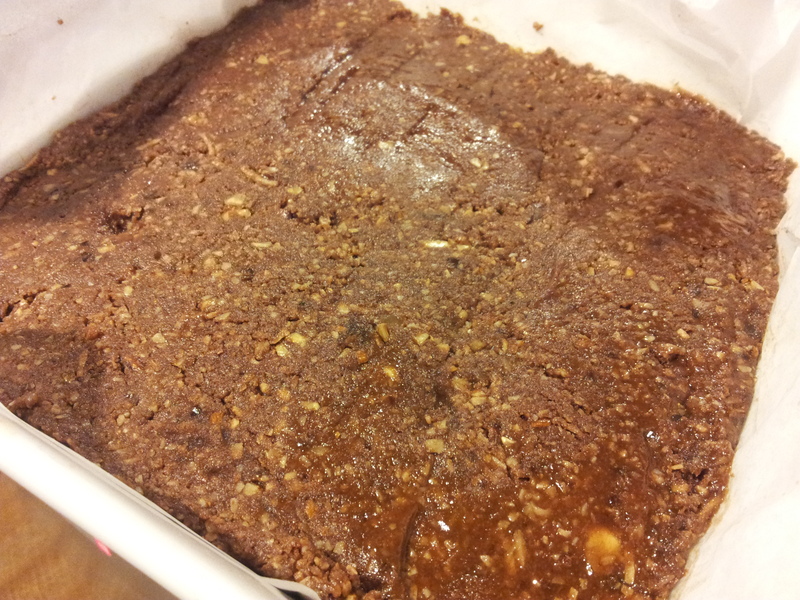 Place the mixture into a baking dish lined with baking paper. Push it down with a spatula so there is a nice even layer of approximately 1 cm thick. Smooth the surface with the spatula. The mixture is sitting on baking paper and has been smoothed out with a spatula. Place in the freezer and when frozen cut into individual pieces. The slice freezers in about an hour and can be stored in an appropriate container in the freezer where you can just take a piece or two out as required. Cut the slice into individual pieces. For this batch l doubled the recipe which gave the slice more height. 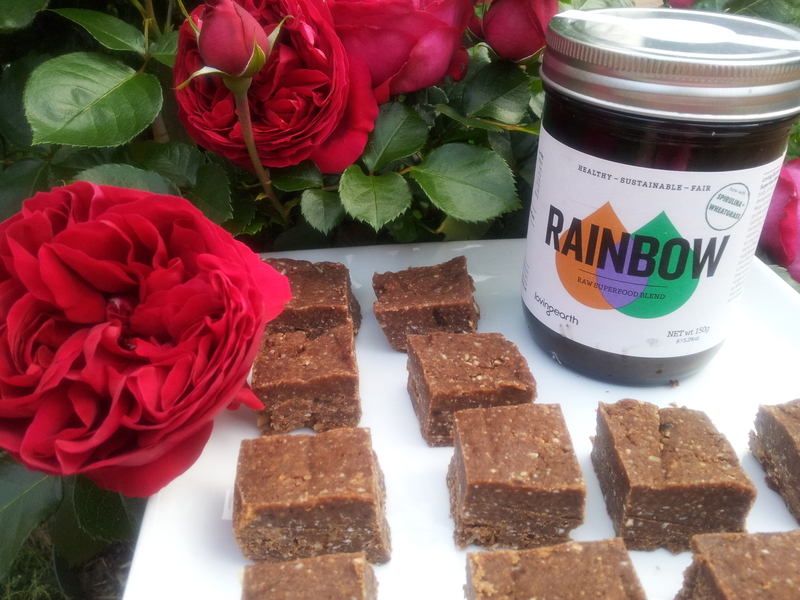 I added 1 teaspoon of Loving Earth rainbow Superfood to each batch to add extra nutrition. I have a new podcast at http://www.thewellnessbuzzpodcast.com. I talk on a variety of Wellness topics which chronicle my own health journey and have interviewed some awesome guests. Please leave me a review and rating on iTunes! I would really appreciate it.